Pope Francis in a recent interview with his long time atheist friend stated that hell does not exist and that souls just disappear after death. In yet another absurd twist of scripture Pope Francis, formerly Jorge Mario Bergoglio, allegedly made the claim that hell does not exist as is evidenced in the paragraph above. The interview was conducted by Italian journalist Eugenio Scalfari the founder and former editor of Italian newspaper La Repubblica. Subscribe to The Christian Journal Daily to stay informed. 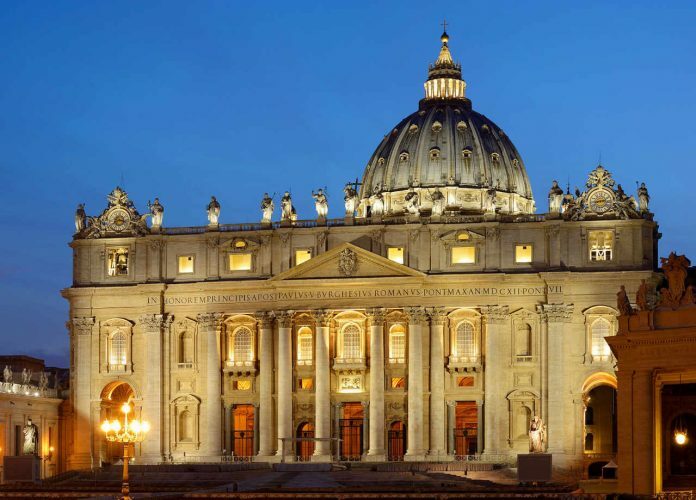 However, according to the Catholic News Agency, the Pope is claiming that the journalist is twisting Bergoglio’s words following a private meeting. The Vatican issued a statement to the news agency stating that the report ‘should not be considered an accurate depiction of Francis’ words, but the author’s own “reconstruction.”’ In addition, this is not the first time that such has occurred, in fact, in an interview in 2015, apparently the Italian paper claimed something similar after a private meeting with the Pope. After the release of the alleged statement, and the Vatican’s denial of the Pope’s admission who do you believe? If proven that the Pope did, in fact, make such an admission, it would not be the first time that Pope Francis has challenged scripture, just recently the Pope showed a desire to change The Our Father prayer. In addition, Pope Francis also recently established a feast day for mother Mary in spite of what scripture states. The Bible is very clear, that God is the author of Truth, and scripturally speaking, only God can establish feast days as he has done throughout history. Yet, Pope Francis, the man, acclaims to have the authority to establish such. In scripture, there is no mother church, instead according to Christ’s own words, the Church is to be the Bride of Christ, yet Pope Francis and his cohorts at the Vatican are decreeing that “the Memorial of the Blessed Virgin Mary, Mother of the Church,” should be inscribed in the Roman Calendar on the Monday after Pentecost and be celebrated every year in churches throughout the world. – Learn More. What say you, does the Pope believe that Hell doesn’t exist? di EUGENIO SCALFARI. “ Il Papa: “È un onore essere chiamato rivoluzionario”.” Repubblica. . (2018): . .
Hannah Brockhaus. “Vatican: Don’t trust report that Pope Francis denied reality of hell.” Catholic News Agency. . (2018): . .
You know….that’s the same thing Lucifer says.. This individuals soul is vacant, empty. Look how he came into office, that alone was all telling. The real issue in what he said is that “repentance” is not all that is needed. You MUST accept CHRIST as your savior AND repent.